The high level of attentive service and care that Sayegh Trucking is known for extends to our warehousing operations. Using inventory management software that can be tailored to your needs, we provide inventory summaries upon request or according to a customized reporting schedule. 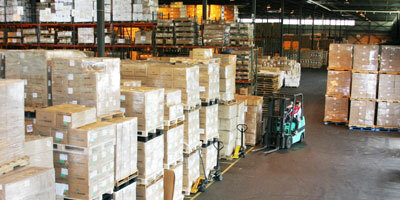 Along with warehousing, we provide consolidation, palletizing, labeling, and distribution services. Our warehouse is located in Union, New Jersey, just 20 miles from midtown Manhattan and in close proximity to the major ports and rail facilities. Your shipments are always handled with the utmost care and are well protected. Our facility is central station alarmed, and fully sprinklered.